BBS can ensure that you have appropriate workplace safety policies in place so that your employees can feel secure and safe in their jobs and so you don’t have to worry about problems, issues, accidents or various workplace safety violations. The laws and regulations governing workplace safety can sometimes be rather complex and somewhat difficult to understand, but BBS can make sure you are in compliance and doing all you can to make your workplace a safe environment for everyone. If an injury does occur, BBS can help you to take proper care of your employees and make sure that they can get back to work as soon as possible. Our loss control services can help companies reduce or eliminate factors in the workplace that contribute to worker injuries or illnesses. We also help you to manage the indirect costs associated with accidents in the workplace and their disruption to productivity. In all of its operations, a company should be guided by an established safety policy. This policy is based on a sincere desire to eliminate personal injuries, occupational illnesses and damage to equipment and property, as well as to protect the general public whenever the public comes in contact with or is affected by the company’s work. Management, supervisors, foremen and each employee are trained and instilled with the responsibility of preventing the occurrence of incidents or conditions that could lead to occupational injuries or illness. While the ultimate success of any safety and health program depends upon the full cooperation of each individual employee, it is the company’s management that is responsible to provide a safe environment in which to work. It is also their responsibility to see that safety and health rules and procedures are adequate and in force, and to see that effective training and education programs are employed to the best advantage. Never should safety be sacrificed for production. It must be considered an integral part of quality assurance and control, cost reduction and job efficiency. A proper safety attitude will be considered to be a condition of employment. BBS realizes that there are many hazards in the workplace. Through sound and reasonable safety regulations and practices, however, we feel occupational injuries can be reduced and, in some cases, eliminated. The humanitarian and moral obligation of working safely is vital for all employees and their families. It also serves to promote business and thereby contributes to the continued growth and success of the company. Poor accident experience increases costs and results in a loss of profits in jobs. 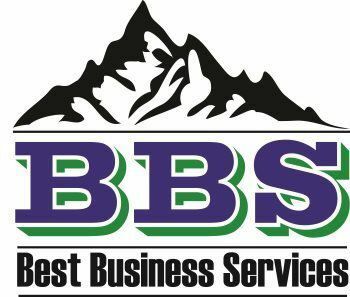 BBS can help ensure that your company meets or exceed all safety regulations in a cost effective way that provides a great environment for your employees, improves employee productivity, and increases overall company profitability.